Tropical Fruit Buy, Sell & Trade / Re: Luc's Garcinia / Mexican Garcinia season is coming up . 15 seeds 10$ including international shipping. Longan (dimocarpus longan)fresh seeds available for sale/trade. Feel free to contact ecstacy006@gmail.com /+917558007666 whatsapp. 10 seeds 12$ including international shipping. Black berry jam fruit (randia formosa) seeds for sale/trade. Can be grown in a pot or 20L drum. Small shrub to medium sized tree. Fresh fruit seeds will collected according to order. Around 5 yr to fruit. Thanks for the comment. Google says its jangomas. This is not F.jangomas. It is F. inermis. Sweet louvi is different...both are same species. 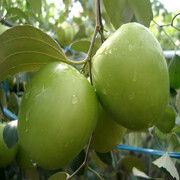 This one is sour taste ,used for eaten raw with salt and is best for making pickles. Sweet louvi is of good taste,no sour at all. Flacourtia intermis (indian coffee plum) fresh seeds for sale/trade. Fruit can be eaten raw/make pickles. Pack of 20 seeds 7$ including international shipping. Peanut butter (bunchosia argentia) fresh seeds for sale/trade. Fruits will be plucked and ship according to order. Pack of 15 seeds 10$ including international shipping. Peanut butter( Bunchosia argentea) fresh seeds for sale/trade. Pack of 10 seeds 5$ + shipping . Tropical Fruit Buy, Sell & Trade / Re: Where to get Safou? Can somebody help me how to germinate ilama seeds easily..heard that it will take long time to germinate..does GA3 solution really matters? Me too ordered from dada,and he didnt even reply to my messages... Hope he will send my seeds soon.. Tropical Fruit Buy, Sell & Trade / Re: Eugenia itaguahiensis (dwarf grumixama) seeds available now . I already paid you 30 euros last week but u didnt shipped the seeds or even replied to my messages. Tropical Fruit Buy, Sell & Trade / Re: BORNEO: Artocarpus, Willughbeia, Durio, Nephelium, Limpato, Baccaurea etc. Juicy delicious crunchy jack fruit (thenvarikka (honey jack fruit))seeds available for free..
Just pay 6$ as international shipping..